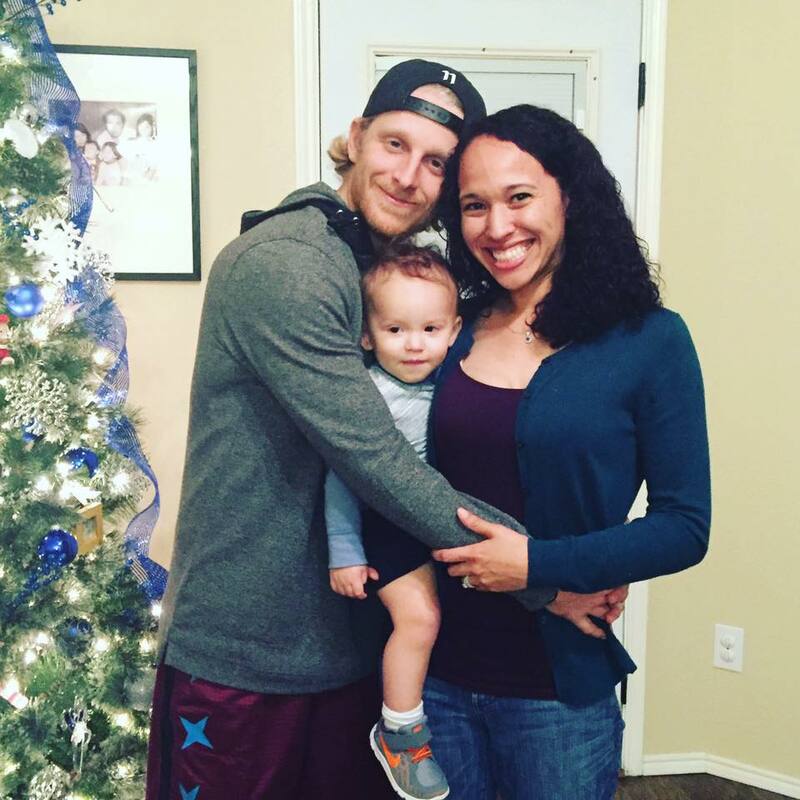 Home Athletes Cole Beasley Biography – How tall is He, Who is The Wife? Cole Beasley is one American wide receiver with a knack for finding the soft spot in zone coverage and can, as a matter of fact, create separation near the line of scrimmage. Considered as one of the shortest wide receivers in the NFL, Beasley who is strictly a slot receiver, makes up his shortness with unimaginable speed, quickness, and vertical leaping ability. With his soft hands, this player for the Dallas Cowboys makes every tough catch look routine and when the ball is in his hands, his height helps him avoid defenders as he makes those short, quick cuts. Cole Beasley joined the NFL draft in 2012 and has gained so much experience for his position. Today, he is known for that terrific speed and ability to read coverages to get open. Let’s learn so more facts about the football player. Cole Dickson Beasley was born on April 26, 1989, in the beautiful city of Texas, United States of America and he attended Little Elm High School, also located in Texas. Raised by his parents Mike and Danette Beasley of mixed ethnic descent, Cole also has a brother who goes by the name Shayne Beasley. While in high school, Beasley played as an option quarterback and was able to make a name for himself as a district co-MVP after leading the Lebos to the Texas UIL-4A playoffs. He was also rated as a two-star recruit by Rivals.com after recording 1,184 rushing yards, with 12 touchdowns and 1,570 passing yards. Moving to Southern Methodist University, where he was offered a scholarship for his college career, Cole Beasley became a receiver. He played in eleven games and recorded 7 starts as a freshman. With his 42 receptions for 366 yards and 3 touchdowns in his freshman season, Cole was rated third in his team. He made 87 receptions, 1,040 yards plus 6 touchdowns in his junior season, and 86 receptions, 1,040 yards plus 2 touchdowns in his senior season. Professionally, Cole became an NFL player in 2012 after completing his college career in 2011. Although he was undrafted in the 2012 NFL Draft based on his below average height, he was later picked by the Dallas Cowboys. Affected by the ordeal, Cole left the Cowboys’ training camp feeling depressed and lack of interest to pursue his long-loved football career. He even considered retiring from his professional career but after a brief consideration, he returned to his new professional team and was named among the Cowboys 53-man squad. Playing for the Dallas Cowboys since 2012, Cole Beasley took out time to develop himself while enjoying his games. The wide receiver played in 10 games in his rookie season and finished with 15 receptions for 98 receiving yards. In his 2014 season, he recorded 37 receptions, 420 yards and 4 touchdowns in six games. He further displayed his athletic skills during the Wild Card playoff win against the Detroit Lions where he recorded 4 catches for 63 yards while recovering a critical Romo fumble. Based on his performance over the years, the Dallas Cowboys decided to renew its contracts with the young wide receiver on March 3, 2015. The deal which was for four years gave him $13.6 million in total. The following season, he made 76.5% catch rate with 75 passes for 833 yards, and 5 touchdowns on 98 targets. This raised his position on the 2016 NFL wide receivers list to number two. Beasley makes a clean ball catch and with his exceptional speed, he easily separates himself from the defensive back. Even though he could not be counted as one of Dallas every-down wide receiver, the professional football club needs him on third downs where he is perfect at getting open quickly against cornerbacks for short gains. His career stats as of 2018 gives him a total of 319 receptions for 3,271 yards and 23 touchdowns. His average receiving yard per reception is 10.3 while his longest reception is 54. Cole Beasley is 5 feet 8 inches (1.73m) tall which is way below NFL’s 6’2″ average height for all its players in every position. He was 5 ft 7 7⁄8 in (1.72 m) at the time he wanted to join the NFL draft in 2012. Cole weighs 82 kg. Information about the rest of his measurements cannot be found. See Also: Tarik Cohen Wiki, Is He Jewish, How tall is He, Who are His Parents? The young American wide receiver for the Dallas Cowboys is a married man. He married his beautiful wife Krystin Beasley in 2014 after dating her for a couple of years. The couple currently has two children who are both boys. The name of one of his children is Ace Beasley.